For kids who love Bob the Builder, a construction worker mask is a dream come true! 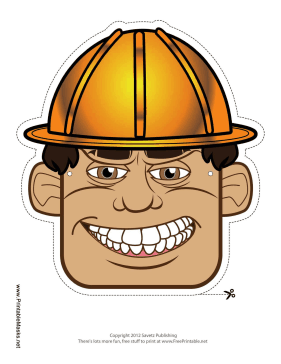 This builder mask has a yellow helmet and a big grin, just like a real tough construction worker! This mask is free to download and print.